The Philadelphia Union left it all on the field on Tuesday night in a thrilling, gutsy U.S. Open Cup Championship match that ultimately went to Seattle in overtime. Somehow, they need to put the disappointment of that wrenching loss behind them and gather themselves for what should be a winnable game against Houston (Saturday, 7 p.m., TCN). All sites are turned toward the MLS play-off run now and time is running out. The short story on the Dynamo (9-13-5) is that they’re in 8th place in the league’s Eastern Conference, have scored a dozen fewer goals than Philadelphia this season and have given up five more than the Sons of Ben’s favorite sons. After winning their first two matches back in March in convincing fashion, the Dynamo have spent the majority of the year stuck somewhere between neutral and reverse. And despite a recent surge, Houston is still 6 points out of play-off spot with an awful lot of obstacles between themselves and the post-season. Career Houston forward Will Bruin leads the Dynamo with 10 scores, but missed last week with a bum right foot. English forward Giles Barnes is second with an only mildly impressive 8. The face of the franchise, midfielder Brad Davis, is in his 9th season in Houston and his 12th in the MLS—and the miles are beginning to show. Davis’ minutes are down by about 30-percent this season. He has 4 goals and still serves corners for the Dynamo which has helped him to a club-best 9 assists. But he was taken out last week in the 58th minute of Houston’s 2-2 draw against Columbus after 8 corner tries without a helper. In short, Houston looks a bit banged-up and is nobody’s favorite to make a surprise play-off push. It’s the opposite story in Philadelphia where the Union are on a 3-0-1 run since losing 2-0 to the Dynamo back in August (on an afternoon when the oppressive heat and humidity of downtown Houston made it difficult for either club to play to its true potential). The Union’s U.S. Cup loss on Tuesday night to Seattle was gut-wrenching, but also character-building, as the club was within inches of winning that one in regulation about a half-dozen times. Philadelphia can hold their heads high in the wake of that remarkable effort against the smart choice for this year’s MLS Cup honors. The only question is how well the Union starters’ legs will hold-up on short rest. The club will need those gams in good form. There are only 6 matches left in this waning season and the Union (9-9-10) are still just beyond the brim of play-off contention, tied in points with fifth-place Columbus (the final play-off position in the Eastern Conference), but technically holding 6th because of one, big tie-breaker. Philadelphia has an identical record and has actually out-scored Columbus by 5 this season, but currently fall short of the play-off spot because the Crew won the only meeting between the two clubs. That was months ago, of course, long before the Union became one of the league’s hottest teams. It’s also a situation the Union can render moot in the season’s closing weeks; two of Philadelphia’s final matches are against Columbus, including October 11th at PPL and the season’s final weekend in Ohio. Hmm. ‘Think there’ll be a few Union fans heading west on the Turnpike for that one? 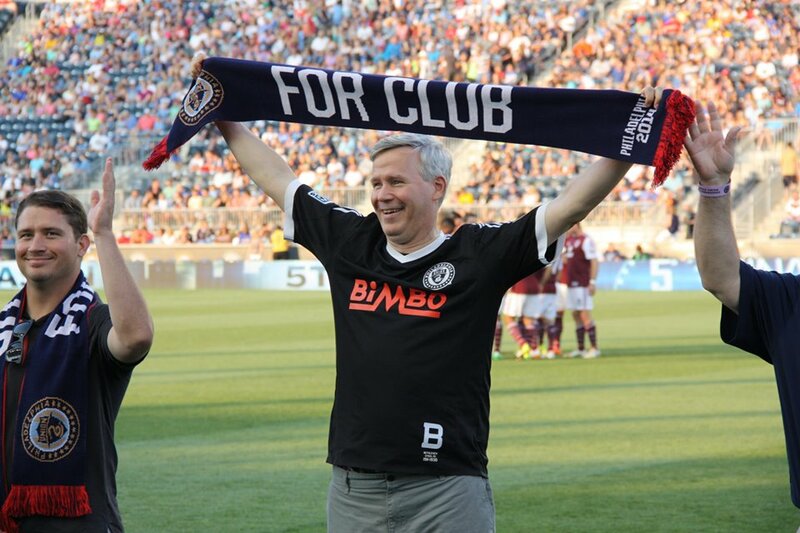 As for this weekend, it probably helps that the Union is playing in Chester. There’s nothing like the home crowd to get you over the hump when you’re tired. And many of the same fans who were rocking PPL Park on Tuesday night will be back again to aid the atmosphere. As for the Tuesday night Cup match, if you weren’t there or didn’t tune-in to the broadcast, you missed a classic. The Union spoiled any hope Seattle may have had for a sustained offensive presence in the contest’s first half. Clint Dempsey hit the bar above Philadelphia goaltender Zac MacMath on a deflected cross, but that was about it. The Union, meanwhile, overcame a few mental lapses early and began getting the better of the chances, finally capitalizing on a beautiful header from midfielder Maurice Edu off a precise free-kick from fellow midfielder Cristian Maidiana (who, honestly, did not play his best game on Tuesday, but still came through when it counted). The second-half opened with the only extended pressure Seattle brought all night and it resulted in a goal off a second consecutive corner kick and a scramble in front. But ten minutes in, the Union took over again and really never stopped pressing straight through to the end of regulation. There were hit posts, point blank shots right at the goalie and a series of quality serves into the box that just never quite found their way over the goal line. All the while, the players kept moving well, kept pushing. In overtime, the Dempsey factor—which had been not much of a factor at all in regulation—finally made the difference. In one of only times the U.S. National Team star was left unmarked, he made Philadelphia pay with a quick, expert shot low to the near-post past a sprawling, defenseless MacMath. You can forget the third goal. Yes, Ray Gaddis was having trouble catching-up to a streaking Obafemi Martins and yes, perhaps MacMath committed too soon. But that was basically a typical extra score that comes when a team is running out of time and is pushing nearly everyone forward. My son and I left the stadium exhausted. I think he spoke for everyone as we were walking through the gates, eyes straight ahead, re-playing every moment in his mind, saying, “I really love that team.” True enough. There’s no telling how long it will be before the Union manages to get to another Cup Final, but here’s hoping it’s soon. This current unit is certainly Cup-worthy. As for the season’s other trophy (The MLS Cup), the Union will certainly be expected to be a pesky opponent capable of going toe-to-toe with anyone, should they make it into the post-season field—especially after playing with such skill in Tuesday’s championship match. Six games will determine whether they get another chance to shine.